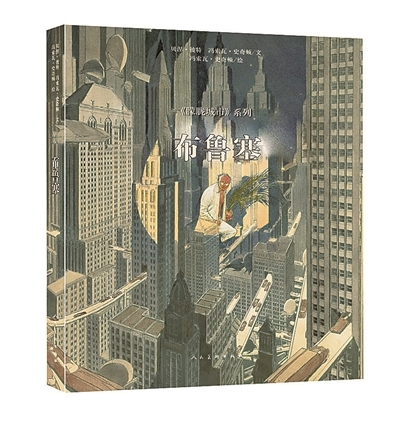 Several publishers in China have published translations of the albums of François Schuiten and Benoît Peeters. 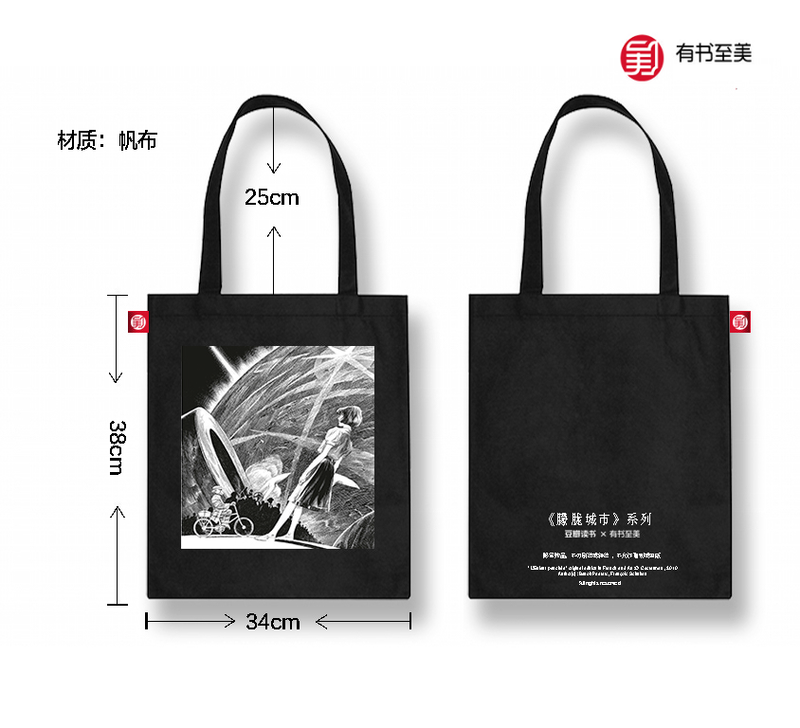 As a promoting for the first 1000 buyers of one of the new translations they made a free shopping bag with an image of L'Enfant Penchée. 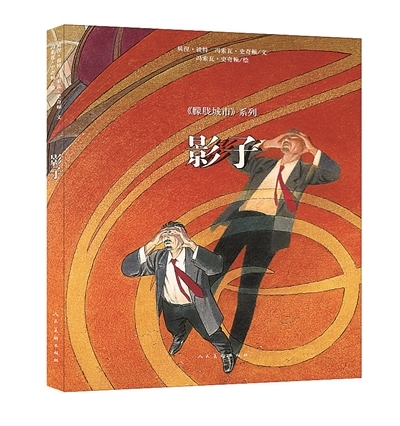 Two albums of Les Cités Obscures has been translated in traditional Chinese by Dala Books, a publisher in Taiwan in 2004. 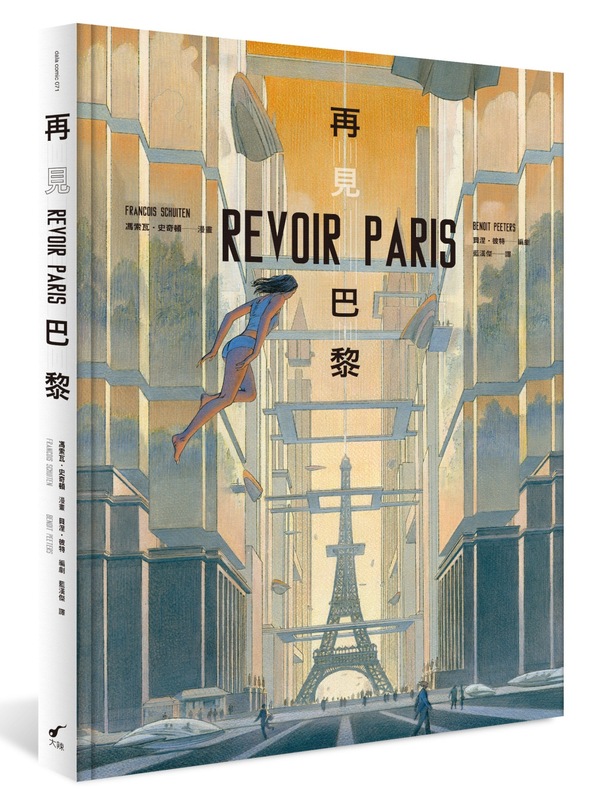 Dala Books also published the integral edition of Revoir Paris in a Chinese version in 2018. 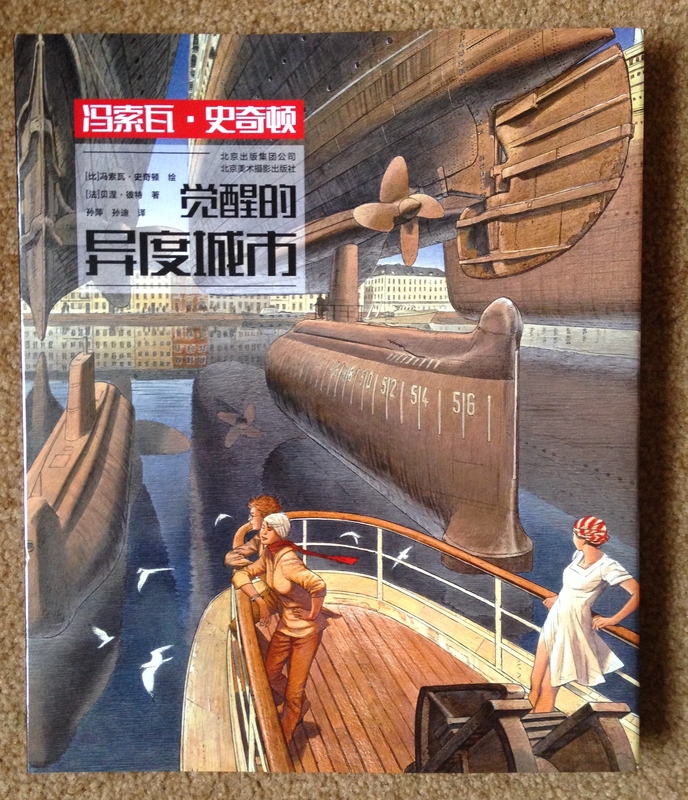 Some interior pages of the Chinese translation of La Frontière Invisible. 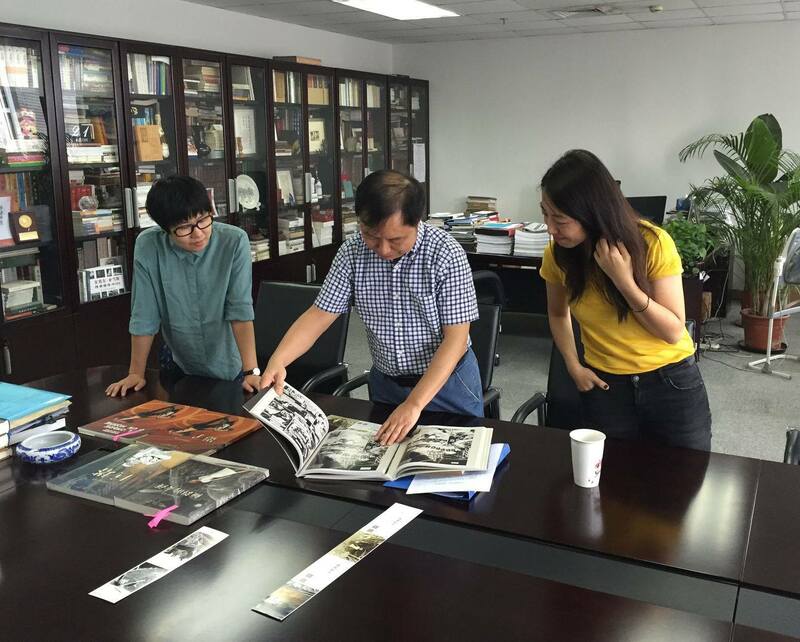 In 2015 the Chinese publisher People Fine Arts started publishing the Obscure Cities series (朦胧城市). 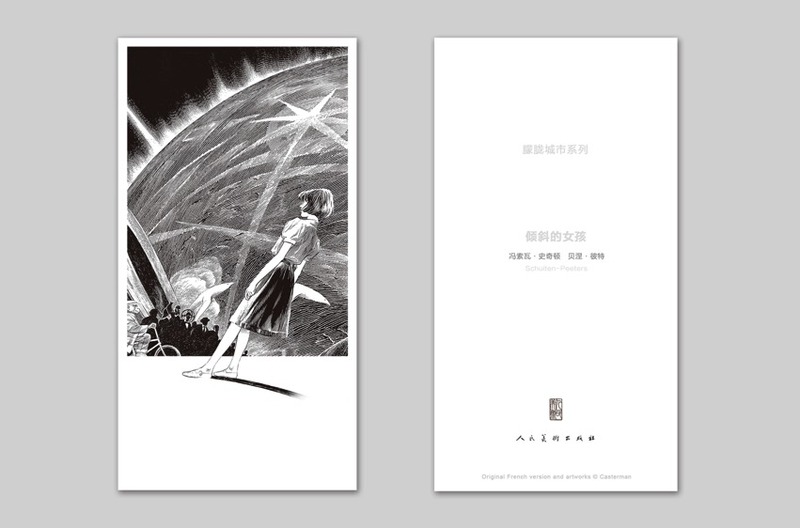 The publisher has published the first two volumes in February 2015: 巨塔 (La Tour) and 倾斜的女孩 (L'Enfant Penchée). 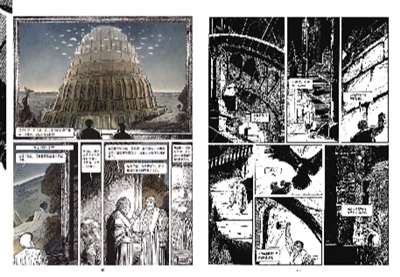 The second two albums were published in September 2015: 影子 (L'Ombre d'un Homme) and 沙粒效应 (La Theorie du Grain de Sable). 撒玛利亚的城墙 (les Murailles de Samaris) was published in March 2016 and in June 2016 the album Brüsel was published. The albums are published on luxury 180 gr, slightly dull cream paper. The albums of the Obscure Cities will be subject to a fine production and will be sold at prices still unusual for this market: between 9 and 15 euros. For comparison, the Tintin albums are sold at prices ranging from 1.5 to 2.5 euros (flexible format). 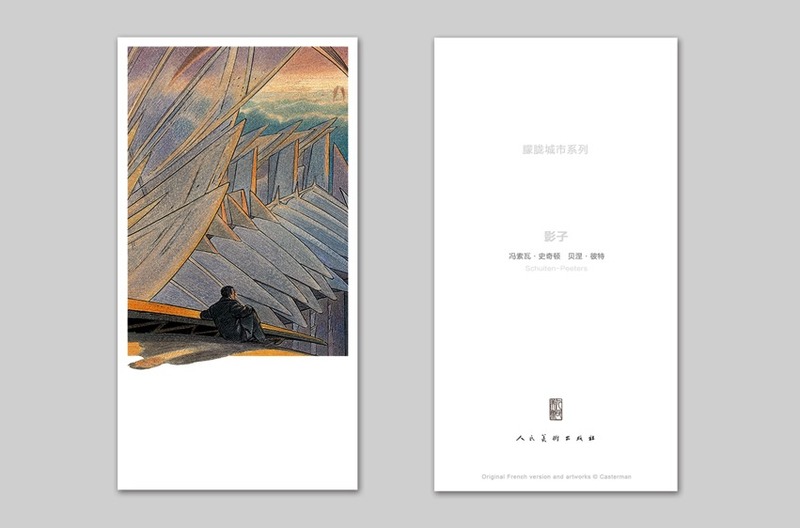 The publisher has also decided to call a duo translator to ensure the best possible result: The first is a very competent and technical translator, used to translate essays, articles and several books from French to Chinese. 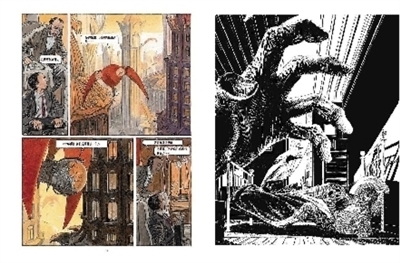 The second is an art historian, who can bring the Cities every nuance required in references and manipulated concepts. The People's Fine Arts Publishing House is a national press specializing in fine arts. It was established in Beijing in September 1951 1). 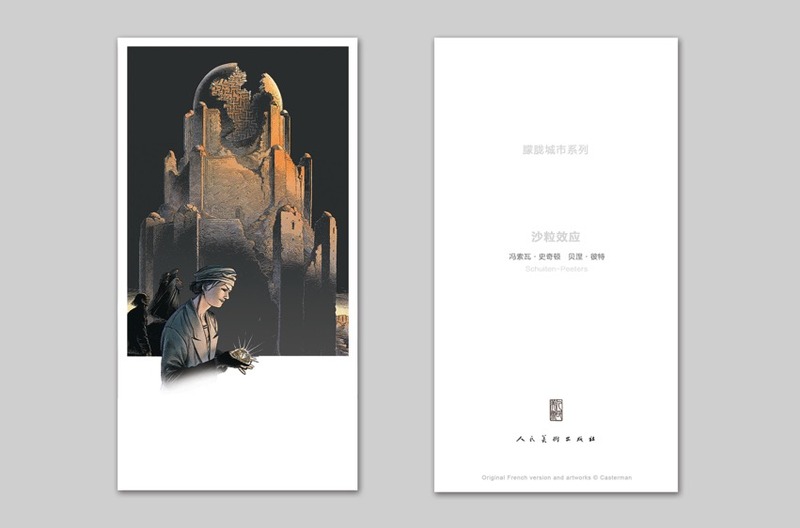 The People's Fine Arts Publishing House mainly publishes various Chinese excellent works and treatises of fine arts, sorts out and publishes ethnic artistic heritage, as well as publishes and introduces foreign works and relevant treatises of fine arts that are valuable in research and for reference. Its publications include: various albums and treatises of fine arts and photograph, textbooks of fine arts and books on practical skills, comic strips, New Year paintings, posters, periodicals of fine arts and art series. In the past 40 years, it has published nearly ten thousand titles of books, pictures, and periodicals. Since 1987, it has been publishing about 400 titles every year, among which new editions account for more than two-thirds. Many of its publications have been highly praised by the artistic circle at home and abroad, and have been welcomed by numerous readers 2). 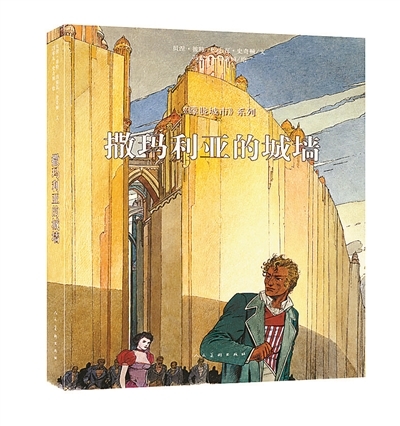 The Chinese translation of La Tour that was published in 2015 by People's Fine Arts Publishing House was voted readers' favorite book in the WeChat Green Reading group 3). The Chinese WeChat application is a colossal success, it includes whatsapp communication features (text messaging, audio and video) and a community site like Facebook (which itself is unavailable in China) 4). A group of senior editors and teachers took the initiative to launch a consultation / on-line discussion about the concept of Green Reading. La Tour was part of 50 alternative reading books that were published in 2015, covering all areas of the humanities, social sciences, literature, biography, science, children's, art, etc. During a 5 day voting period La Tour received the most votes. 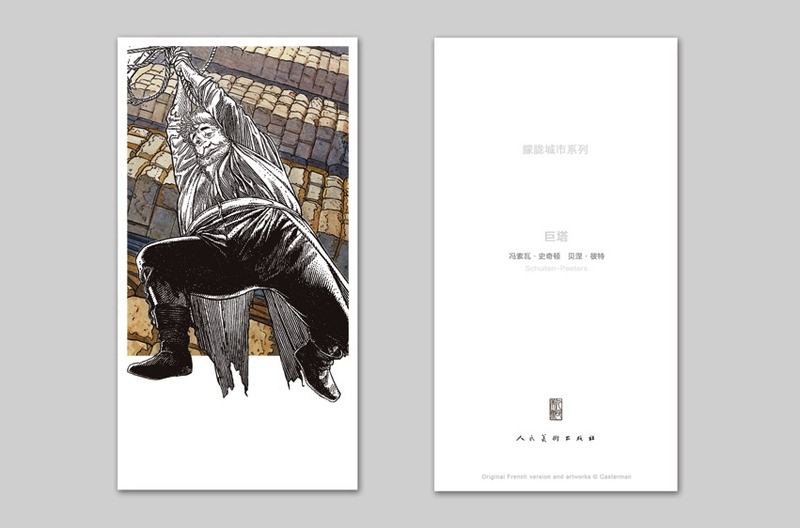 Some examples of the Chinese edition of Les Murailles de Samaris. François Schuiten and Benoît Peeters visited Fête des Bulles in June 2016. Read more about it in a Chinese interview and see the Fête des Bulles in China page. 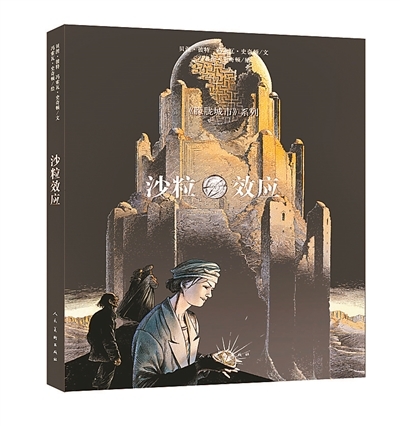 The “Book of Schuiten” has been translated to Chinese by Artmedia. 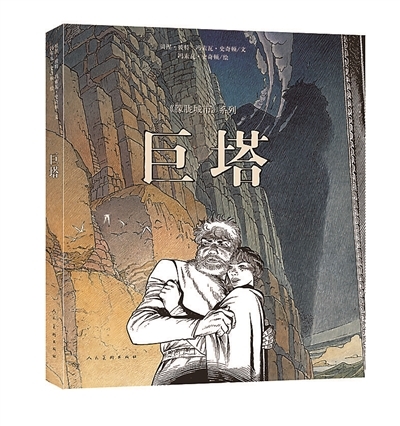 The book has been published in June 2016 during a book presentation of Schuiten and Peeters in bookshop Page One in Beijing. To promote the release of the book a puzzle was made of the cover. 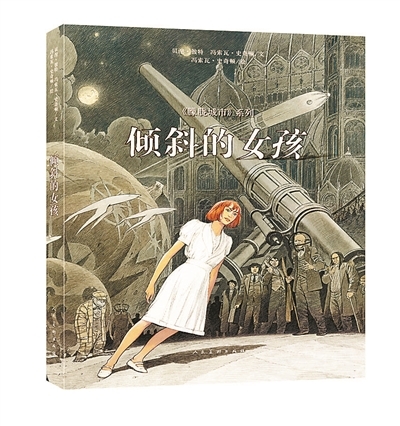 Artmedia has also published the Chinese translation of “L’horloger du Rêve” in October 2017.